This journal was started in the Fall of 2014 by former Psi Chi Vice-President Joseph Aryankalayil, who wanted to help foster a sense of community for NYU’s Chapter of Psi Chi through research. He intended this journal to be a showcase of our Psi Chi members’ diverse interests, accessible to both psychology majors and non-majors alike. Although our first issue comes a year later than Joseph originally intended, his vision remains; our authors are as unique as they are talented. In this issue you will read about undocumented immigrant health concerns, the stigma placed on teen mothers, real world criminal justice implications of false memories, and so much more. 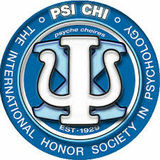 This broad assortment of topics highlights that our NYU Psi Chi members occupy many areas of psychology passionately and skillfully. This journal represents the collaborative efforts of so many talented authors, peer reviewers, and editors with whom I’ve had the pleasure of working. I am also eternally grateful to our faculty mentor Dr. Andy Hilford for all his help and to Joseph Aryankalayil for helping found the journal. obesity rates are higher for native-born U.S. citizens than for immigrant and stress is related to health risks, we intend to measure stress levels among the three groups—undocumented immigrants, documented immigrants, and first generation U.S. citizens—and identify how those stress levels predict obesity when controlling for potential confounds such as race. Therefore, this study will explore whether psychological distress moderates the relationship between immigration status and obesity. In addition to measuring depression, anxiety and body dysmorphia, this study will emphasize on acculturative stress. For this reason, this study will survey how immigrant eating habits have changed after immigration. METHOD Recruiters will go to culturally diverse neighborhoods in Queens, Brooklyn, and Manhattan (Jackson Heights, Flushing, Canal Street in Chinatown, etc.) and ask participants to fill out surveys. All participants must be 18 years old or older and either undocumented immigrants, documented immigrants, or first-generation Americans. We will measure: depression (using the CES-D; Randoff, 1977), general anxiety (using the GAD-7; Spitzer, Williams, Kroenke, and Pfizer Inc., 2006), self-esteem (using the Rosenberg Self-Esteem Scale; Rosenberg, 1965), and body dysmorphia (using the Body Image Disturbance Questionnaire; Cash, Phillips, Santos, & Hrabosky, 2004). In addition to demographic questions, we will also calculate BMI to determine obesity. CONCLUDING REMARKS We hope that the stress measurement will be beneficial to the immigrant community in several ways. Primarily, the results of this study will help to provide new insight into the potential differences in obesity rates within different immigration statuses. This will be beneficial to medical professionals when dealing with patients from different demographics. Studies have frequently shown that immigrants underutilize mental health services as a result of stigma, cultural differences, and lack of health care (Kandula, Kersey, & Lurie, 2004). The data collected during this study will help distribute and direct government funding and obesity intervention programs more accurately to areas with high rates of obesity. We will also have information that may be able to assist in new methods of psychological evaluation and treatment as well as nutritional education. REFERENCES Agne, A. A., Daubert, R., Munoz, M. L., Scarinci, I., & Cherrington, A. L. (2012). The cultural context of obesity: exploring perceptions of obesity and weight loss among Latina immigrants. Journal of Immigrant and Minority Health, 14, 1063-1070. Alif, A., & Nelson, B. S. (2014). A psychological explanation of how and why undocumented immigrants participate in the American economy. 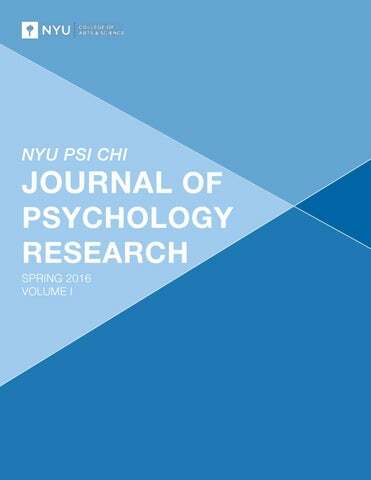 NYU Applied Psychology Online Publication of Undergraduate Studies, 7, 26-29. Bowie, J. V., Juon, H. S., Rodriguez, E. M., & Cho, J. (2007). Factors associated with overweight and obesity among Mexican Americans and Central Americans: Results from the 2001 California health interview survey. Preventing Chronic Disease, 4, A10. Cash, T. F., Phillips, K. A., Santos, M. T., & Hrabosky, J. I. (2004). Measuring “negative body image”: Validation of the Body Image Disturbance Questionnaire in a non-clinical population. Body Image, 1, 363-372. Choi, J. Y. (2012). Prevalence of overweight and obesity among US immigrants: Results of the 2003 New Immigrant Survey. Journal of Immigrant and Minority Health, 14, 1112-1118. Cogan, J. C., Bhalla, S. K., Sefa-Dedeh, A., & Rothblum, E. D. (1996). A comparison study of United States and African students on perceptions of obesity and thinness. Journal of Cross-Cultural Psychology, 27, 98-113. Creighton, M. J., Goldman, N., Pebley, A. R., & Chung, C. Y. (2012). Durational and generational differences in Mexican immigrant obesity: Is acculturation the explanation? Social Science & Medicine, 75, 300-310. Gonzales, R. G., Suárez-Orozco, C., & Dedios-Sanguineti, M. C. (2013). No place to belong: Contextualizing concepts of mental health among undocumented immigrant youth in the United States. American Behavioral Scientist, 57(8), 1174-1199. Kandula, N. R., Kersey, M., & Lurie, N. (2004). Assuring the health of immigrants: what the leading health indicators tell us. Annual Review of Public Health, 25, 357-376. Lauderdale, D. S., & Rathouz, P. J. (2000). Body mass index in a US national sample of Asian Americans: Effects of nativity, years since immigration and socioeconomic status. International Journal of Obesity, 24, 1188-1194. Marshall, K. J., Urrutia-Rojas, X., Mas, F. S., & Coggin, C. (2005). Health status and access to health care of documented and undocumented immigrant Latino women. Health Care for Women International, 26, 916-936. Ozier, A. D., Kendrick, O. W., Leeper, J. D., Knol, L. L., Perko, M., & Burnham, J. (2008). Overweight and obesity are associated with emotion- and stress-related eating as measured by the Eating and Appraisal due to Emotions and Stress Questionnaire. Journal of the American Dietetic Association, 108, 49-56 Radloff, L. S. (1977). The CES-D scale a self-report depression scale for research in the general population. Applied Psychological Measurement, 1, 385-401. Rosenberg, M. (1979). Conceiving the Self. New York: Basic Books. Salinas, J. J., Abdelbary, B., Rentfro, A., Fisher-Hoch, S., & McCormick, J. (2014). Cardiovascular disease risk among the Mexican American population in the Texas-Mexico border region, by age and length of residence in United States. Preventing Chronic Disease, 11, E58. Spitzer, R. L., Kroenke, K., Williams, J. B., & Löwe, B. (2006). A brief measure for assessing generalized anxiety disorder: the GAD-7. Archives of Internal Medicine, 166, 1092-1097. Tovar, A., Must, A., Metayer, N., Gute, D. M., Pirie, A., Hyatt, R.
R., & Economos, C. D. (2013). Immigrating to the US: What Brazilian, Latin American and Haitian women have to say about changes to their lifestyle that may be associated with obesity. Journal of Immigrant and Minority Health, 15, 357-364. Wilson, S. M., & Sato, A. F. (2014). Stress and paediatric obesity: What we know and where to go. Stress and Health, 30, 91-102. AVH and mental illness, one must consider whether or not the stigma that comes with mental illness becomes similarly attached to those who experience AVH but are psychologically healthy. Understanding whether or not this stigma exists for those who experience AVH but are psychologically healthy will further illuminate the issues inherent in deeming all those who experience AVH as mentally ill. This understanding will also illuminate the need for recognition of this population of individuals by the greater psychological community, like the American Psychological Association, while supporting past research that suggests how detrimental the stigma of mental illness can be for those in the criminal justice system regardless of formal mental health diagnoses. Such an understanding would be invaluable to the movement toward equal treatment of all individuals currently involved with the criminal justice system of the United States, especially those who are perceived to be mentally ill regardless of a mental health diagnosis. REFERENCES Allardyce, J., Suppes, T., & van Os, J. (2007). Dimensions and the psychosis phenotype. International Journal of Methods in Psychiatric Research, 16, 34-40. American Psychiatric Association. (2013). Diagnostic and statistical manual of mental disorders: DSM-5. Arlington, VA: American Psychiatric Publishing. Angermeyer, M. C., Dietrich, S., Pott, D., & Matschinger, H. (2005). Media consumption and desire for social distance towards people with schizophrenia. European Psychiatry, 20, 246-250. Angermeyer, M. C., & Schulze, P. (2001). Reinforcing stereotypes: How the focus on forensic cases in news reporting may influence public attitudes towards the mentally ill. International Journal of Law and Psychiatry, 24, 469-486. Bjerregaard, B., Smith, M. D., & Fogel, S. J. (2005). Benefits and risks of using “diminished capacity” mitigation in death penalty proceedings. In S. W. Hartwell (Ed. ), Research in social problems and public policy, vol. 12: The organizational response to persons with mental illness involved with the justice system (pp. 111-134). New York: Emerald Publishing. Daalman, K., Zandvoort, M., Bootsman, F., Boks, M., Kahn, R., & Sommer, I. (2011). Auditory verbal hallucinations and cognitive functioning in healthy individuals. Schizophrenia Research, 132, 203-207. De Leede-Smith, S., & Barkus, E. (2013). A comprehensive review of auditory verbal hallucinations: Lifetime prevalence, correlates and mechanisms in healthy and clinical individuals. Frontiers in Human Neuroscience, 7, 1-25. Gillespie, L. K., Smith, M. D., Bjerregaard, B., & Fogel, S. J. (2014). Examining the impact of proximate culpability mitigation in capital punishment sentencing recommendations: The influence of mental health mitigators. American Journal of Criminal Justice, 39, 698715. Granello, D. H., & Pauley, P. D. (2000). Television viewing habits and their relationship to tolerance toward people with mental illness. Journal of Mental Health Counseling, 22, 162-175. Johns, L. C., Nazroo, J. Y., Bebbington, P., & Kuipers, E. (2002). Occurrence of hallucinatory experiences in a community sample and ethnic variations. The British Journal of Psychiatry, 180, 174-178. Krabbendam, L., Myin-Germeys, I., & van Os, J. (2004). The expanding psychosis phenotype. International Journal of Psychology and Psychological Therapy, 4, 411-420. Larøi, F. (2012). How do auditory verbal hallucinations in patients differ from those in non-patients? Frontiers in Human Neuroscience, 6, 1-9. Lawrence, C., Jones, J., & Cooper, M. (2010). Hearing voices in a non-psychiatric population. Behavioural and Cognitive Psychotherapy, 38, 363-373. Linden, D. E., Thornton, K., Kuswanto, C. N., Johnston, S. J., van de Ven, V., & Jackson, M. C. (2011). The brain’s voices: Comparing nonclinical auditory hallucinations and imagery. Cerebral Cortex, 21, 330-337. Linscott, R. J., & van Os, J. (2010). Systematic reviews of categorical versus continuum models in psychosis: Evidence for discontinuous subpopulations underlying a psychometric continuum. Implications for DSM-V, DSM-VI, and DSM-VII. Annual Review of Clinical Psychology, 6, 391-419. McCarthy-Jones, S. (2012). Hearing voices: The histories, causes and meanings of auditory verbal hallucinations. New York, NY: Cambridge University Press. Rascon, J., & McClam, E. (2015, February 15). ‘American sniper’ trial: Eddie Ray Routh believed Kyle was a ‘pig assassin,’ doctor says. NBC News. Retrieved from http://nbcnews. com Ravven, S., & Kapoor, R. (2014). Heat-of-passion manslaughter and the mentally ill defendant. Journal of the American Academy of Psychiatry and the Law, 42, 115-117. Tien, A. Y. (1991). Distributions of hallucinations in the population. Social Psychiatry And Psychiatric Epidemiology, 26(6), 287-292. van Nierop, M., van Os, J., Gunther, N., Myin-Germeys, I., de Graaf, R., ten Have, M., … van Winkle., R. (2012). Phenotypically continuous with clinical psychosis, discontinuous in need for care: Evidence for an extended psychosis phenotype. Schizophrenia Bulletin, 38(2), 231238. Verdoux, H., & van Os, J. (2002). Psychottvic symptoms in non-clinical populations and the continuum of psychosis. Schizophrenia Research, 54, 59-65. Vilhauer, R. P. (2014). Depictions of auditory verbal hallucinations in news media. International Journal of Social Psychiatry, 61, 58-63.
beliefs, but should rather remain unbiased and willing to possibly accept other, sometimes conflicting, input. REFERENCES Bremner, J. D., Shobe, K. K., & Kihlstrom, J. F. (2000). False memories in women with self-reported childhood sexual abuse: An empirical study. Psychological Science, 11, 333-337. Brewin, C. R. (2011). The nature and significance of memory disturbance in posttraumatic stress disorder. Annual Review of Clinical Psychology, 7, 203-227. Del Deo, A., Demos, M., Nishimura, L., & Ricciardi, L., (2015). Making a Murderer [Motion picture]. United States: Netflix. Dodson, C. S., & Krueger, L. E. (2006). I misremember it well: Why older adults are unreliable eyewitnesses. Psychonomic Bulletin & Review, 13, 770-775. Garven, S., Wood, J. M., & Malpass, R. S. (2000). Allegations of wrongdoing: The effects of reinforcement on children’s mundane and fantastic claims. Journal of Applied Psychology, 85, 38-49. Goodsell, C. A., Neuschatz, J. S., & Gronlund, S. D. (2009). Effects of mugshot commitment on lineup performance in young and older adults. Applied Cognitive Psychology, 23, 788-803. Gulliver, S. B., Zimering, R., Carpenter, G. S., Giardina, A., & Farrar, J. (2014). The psychological consequences of disaster. In P. Ouimette & J. P. Read, (Eds. ), Trauma and substance abuse: Causes, consequences, and treatment of comorbid disorders (2nd ed. ; pp. 125-141). Washington, DC: American Psychological Association. Howe, M. L., & Knott, L. M. (2015). The fallibility of memory in judicial processes: Lessons from the past and their modern consequences. Memory, 23, 633-656. Marsh, E. J., & Mullet, H. G. (2015) Correcting false memories: Errors must be noticed and replaced. Memory & Cognition, 44, 403-412. Moradi, A. R., Heydari, A. H., Abdollahi, M. H., Rahimi-Movaghar, V., Dalgleish, T., & Jobson, L. (2015). Visual false memories in posttraumatic stress disorder. Journal of Abnormal Psychology, 124, 905-917. School, M., Putman, P., Van Der Werff, S., & Van Der Does, A. J. W. (2014). Attentional bias and attentional control in post traumatic stress disorder. Journal of Anxiety Disorders, 28, 203-210. Simons, D. J., & Chabris, C. F. (2011). What people believe about how memory works: A representative survey of the U.S. population. PLoS ONE, 6(8). Stelmach, G. E., & Bassin, S. L. (1971). The role of overt motor rehearsal in kinesthetic recall. Acta Psychologica, Amsterdam, 35, 56-63. Wells, G. L. (1980). Eyewitness behavior: The Alberta Conference. Law and Human Behavior, 4, 237-242. Wells, G. L., Lindsay, R. C., & Tousignant, J. P. (1980) Effects of expert psychological advice on human performance in judging the validity of eyewitness testimony. Law and Human Behavior, 4, 275-285.
depression (Kim, Connolly, & Tamim, 2014). In an effort to analyze how social support affects postpartum depression in adolescent mothers, as well as to identify whether these effects differ in adult mothers, a study was conducted that sampled both adolescent (15 to 19 years) and adult mothers (20 + years) from a nationally representative pool of Canadian women (Kim, Connolly, & Tamim, 2014). The researchers assessed social support levels, asking “how often was support available to you when you needed it?” They found that approximately twice as many adolescent mothers (14.0%) had postpartum depression as the adult mothers (7.2%) and that the mothers, regardless of age, with lower levels of support were more at risk for postpartum depression. The results of this study emphasize the heightened vulnerability of adolescent mothers to maternal disorders such as postpartum depression, as well as the importance of social support from those around them in combating its onset and symptoms. In order to protect future adolescent mothers from the effects of the disorder, future research needs to focus on examining and developing more early preventative methods. Research should also be done on the effects of interpersonal therapy on postpartum depression in order to promote higher levels of social support from those closest to each adolescent mother. vThe stigma on teen pregnancy is not something that can be easily remedied or removed, however the negative effects that this stigmatization has on adolescent mothers can be addressed directly. By creating a solid foundation of social support for these women where it is lacking, their self-perceptions of personal and parenting abilities will increase, making them more motivated to be the best mothers that they can be. If more programs are put into action with the purpose of targeting teen mothers’ educational needs, they will generally be more successful in society and in life, as well as see themselves as worthy of being good mothers to their children. Funding research to investigate possible preventative measures and treatments for postpartum depression will help to protect teen mothers in one of the most turbulent times of their lives. Society needs to stop viewing adolescent mothers as a problem to be solved, and start viewing them as women who deserve to succeed. Center for Disease Control and Prevention. (2015). Teen pregnancy in the United States. Retrieved from http://www. cdc.gov/teenpregnancy/about/index.htm Cox J. L., Holden J. M., & Sagovsky, R. (1987). Detection of postnatal depression: Development of the 10-item Edinburgh postnatal depression scale. The British Journal of Psychiatry, 150, 782-786. DeVito, J. (2007). Self-perceptions of parenting among adolescent mothers. The Journal of Perinatal Education, 16, 16-23. Family and Youth Services Bureau. (2013). The hardest adjustment: Recognizing postpartum depression in teen mothers. NCFY Reports. Retrieved from http://ncfy.acf.hhs. gov/features/mental-health-first-step-well-being/hardestadjustment-recognizing-postpartum-depression Kim, T., Connolly, J., & Tamim, H. (2014). The effect of social support around pregnancy on postpartum depression among Canadian teen mothers and adult mothers in the maternity experiences survey. BMC Pregnancy and Childbirth, 14, 162-170. Little, T., Henderson, J., Pedersen, P., & Stonecipher, L. (2010). Perceptions of teen pregnancy among high school students in Sweet Home, Oregon. Health Education Journal, 69, 333-343. Norbeck, J. S, Lindsey, A. M, & Carrieri, V. L. (1981). The development of an instrument to measure social support. Nursing Research, 30, 264-269. Norbeck, J. S, Lindsey, A. M, & Carrieri, V. L. (1983). Further development of the Norbeck Social Support Questionnaire: Normative data and validity testing. Nursing Research, 32, 4-9. Pridham, K. F., & Chang A. S. (1985). Parents’ beliefs about themselves as parents of a new infant: Instrument development. Research in Nursing and Health, 8, 19-29. Pridham, K. F., & Chang, A. S. (1989). What being the parent of a new baby is like: Revision of an instrument. Research in Nursing and Health, 12, 323-329. Van Pelt, J. (2012). Keeping teen moms in school - a school social work challenge. Social Work Today, 12(2), 24. Wiemann, C. Rickert, V. I., Berenson, A. B., & Volk, R. J. (2004). Are pregnant adolescents stigmatized by pregnancy? Journal of Adolescent Health, 36(4), 352.e1–352.e7. to breakdown emotionally (Grossman & Christensen, 2012). Increased exposure to physical tortures does amplify psychological problems such as re-experiencing, withdrawal, numbness, and hyperarousal, compared to psychological ill-treatment on its own (ElSarraj et al., 1996 cited in Johnson & Thompson, 2008). However, researchers found that physical torture (compared to nonphysical torture) in itself does not necessarily contribute to greater long-term psychological outcomes (Basoglu, Livanou, & Crnobaric, 2007). Rather, the impact of torture (physical or nonphysical) seems to be determined by perceived uncontrollability and distress associated with the stressors rather than the physical pain itself (Basoglu et al., 2007). Higher resilience levels along with a greater ability to exercise control over torture stressors were associated with less perceived distress during torture and subsequently less PTSD (Basoglu & Parker, 1995). Frequency of torture did not predict a PTSD response, which suggests that for some people, once torture reaches a certain threshold, continued torture lacks any additional effects. Prior knowledge of and preparedness for torture, strong commitment to a cause, immunization against traumatic stress as a result of repeated exposure, and strong social supports appear to have protective value against PTSD in survivors of torture (Basoglu & Parker, 1995). Those who are considered less psychologically prepared with no history of political activity, commitment to a political cause, or expectations of arrest and torture had significantly more current PTSD (58% vs. 18%) as well as current major depression (24% vs. 4%) than tortured political activists (Basoglu, Mineka, Parker, Aker, Livanou, & Gok, 1997). This supports the idea of a possible “immunization” effect created by psychological preparation which may reduce long-term psychological effects of traumatic stress. There are numerous physiological results of torture including quicker emotional reactions, sleep disturbances, headaches, fatigue, and concentration difficulties as well as possible rewiring of survivors’ neural networks due to plasticity at the time of torture ( Elbert et al., 2011). Traumatic stress in survivors is determined by perceived uncontrollability of the torture and not simply mere exposure to physical stressors (Basoglu et al., 2007). These outcomes can be managed if a survivor had psychological preparedness or has a good social support system following the act (Basoglu & Paker, 1995; Basoglu et al., 1997). Hopefully research will continue to examine the results of torture to further help those survivors. Perhaps, the most important question is whether the trauma of torture is ever worth inflicting on another human, even for the security of a country. REFERENCES Baker, J. (1992). Haitian Refugee Center, Inc. v. Baker. United States Court of Appeals, Eleventh Circuit. 953 F.2d 1498. Basoglu, M., Jaranson, J., Mollica, R., & Kastrup, M. (2001). Torture and mental health. The Mental Health Consequence of Torture, 35-62. Basoglu, M., Livanou, M., & Crnobaric, C. (2007). Torture vs other cruel, inhuman, and degrading treatment: Is the distinction real or apparent? Archives of General Psychiatry, 64(3), 277-285. Basoglu, M., Mineka, S., Paker, M., Aker, T, Livanou, M., & Gok, S. (1997). Psychological preparedness for trauma as a protective factor in survivors of torture. Psychological Medicine, 27,1421-1433. Basoglu, M., & Paker, M. (1995). Severity of trauma as predictor of long-term psychological status in survivors of torture. Journal of Anxiety Disorders, 9(4),339-350. Central Intelligence Agency. (1963). Kubark Counterintelligence Interrogation. National Security Archive. Elbert, T., Schauer, M., Ruf, M., Weierstall, R., Neuner, F., Rockstroh, B., & Junghofer, M. (2011). The tortured brain: Imaging neural representations of traumatic stress experiences using RSVP with affective pictorial stimuli. Zeitschrift für Psychologie, 219(3), 167-174. Grossman, D., & Christensen, L. (2007). On combat: The psychology and physiology of deadly conflict in war and in peace. Belleville, IL: PPCT Research Publications. Johnson, H., & Thompson, A. (2008). The development and maintenance of post-traumatic stress disorder (PTSD) in civilian adult survivors of war trauma and torture: A review. Clinical Psychology Review, 28, 36-47. Inter-American Convention to Prevent and Punish Torture, adopted by the Fifteenth Regular Session of the OAS General Assembly, Res. 783 (XV-O/85), Cartagena de Indias, 9 December 1985, Article 2. Paker, M., Paker, O., & Yuksel, S. (1992). Psychological effects of torture: The empirical study on tortured and non-tortured non-political prisoners. In M. Basoglu (Ed. ), Torture and Its Consequences: Current Treatment Approaches. Cambridge, UK: Cambridge University Press. Pizzi, M. (2014, May). Amnesty: 141 countries still torture. AlJazeera America. Retrieved from http://america.aljazeera. com Report of the senate select committee on intelligence committee study of the central intelligence agency’s detention and interrogation program. (2014). 113-228. United Nations (1984). Convention against torture and other cruel, inhuman or degrading treatment or punishment. A/ RES/39/46. Welch, M. (2009). American ‘pain-ology’ in the war on terror: A critique of ‘scientific’ torture. Theoretical Criminology, 13(4), 451-474.
instead of their gender did better in the math test (Shih, Pittinsky, & Ambady, 1999). Positive stereotyping can also engender negative effects on recipients’ academic performance and health despite its benefits in certain situations (Cheryan & Bodenhausen, 2000; Ibaraki, Hall, & Sabin, 2014). In another study, Cheryan and Bodenhausen (2000) showed that the presence of positive stereotyping led to poorer performances in quantitative tests compared to when it was not present. In this situation, positive stereotyping was harmful to Asian American women’s performance on a quantitative test. Furthermore, unlike with negative stereotyping, people are less aware of the harmful effects that positive stereotyping can have because positive stereotyping can be seen as a means to praise groups or cultures (Sayama & Sayama, 2011). Among other minority groups, Asians or Asian Americans are consistently the majority of recipients of positive stereotyping and are often seen as a model minority (Dalisay and Tan, 2009; Chang & Demyan, 2007). Model minority is defined as those who disproportionally achieve higher education, “brainy and successful” (Kwon, Kwon, & Overton-Adkins, 2014; Yoo & Castro, 2011). In other words, Asian Americans are seen as a model minority because Asian Americans are able to succeed academically and climb the ladder to greater income even though Asians or Asian Americans are a minority in America. The model minority stereotype posits that Asian Americans are depicted as overcoming the difficulties that most minorities experience in the United States, which includes graduating with a higher degree in college and earning a high income. Asian Americans have been consistently achieving higher success in education such as performing well on the math sections on the SAT or graduating from college with a higher degree specializing in math (Steen, 1987). Compared to other minorities, Asian Americans have the highest rate of graduating with a bachelor’s degree or higher while majoring in mathematics (Steen, 1987). Asian Americans are also stereotyped to be hard-working and high-achieving: a positive stereotype that has been used to praise Asian Americans and to suggest a uniformity of achievement within the many Asian sub-groups in America (Lee, 1994). displayed elevated depression levels and withdrawn behavior (Shin, D’ Antonio, Son, Kim, & Park 2011; Lorenzo, Frost, & Reinberz, 2000). Over time, those who have been exposed to bullying as a result of positive stereotyping display increased negative mental health symptoms such as lower self-esteem levels and increased depression symptoms (Greene, Way, & Pahl, 2006). In addition to the mental health concerns that arise from the consequences of positive stereotyping, there are also harmful generalizations made about the physical health of Asian Americans. For example, the physical health of Asian Americans is often overlooked and therefore Asian Americans are positively stereotyped to be healthier and less likely to suffer from diseases than other minority groups (Ibaraki, Hall, & Sabin, 2014). Positive stereotyping generates generalizations of Asian Americans as a model minority that is resistant to difficulties such as health disparities that other minorities experience (Yeh, 2009). However, cancer mortality rates are higher in the Asian or Asian American population than in other racial/ethnic groups because Asians or Asian Americans are not diagnosed until the cancer is at a more dangerous stage (Smigal, Jemal, Ward, Cokkinindes, Smith, Howe, & Thun, 2006). In addition, the existing cancer disparities in the Asian American population are due to the fact that physicians’ recommendation of cancer screening rates for Asian Americans are lowest compared to other minorities (Ibaraki, Hall, & Sabin, 2014). The authors argue that the model minority stereotype is responsible for the cancer screening disparities because physicians are often implicitly persuaded by the model minority stereotype to perceive their Asian or Asian American patients as healthier than they truly are (Ibaraki, Hall, & Sabin, 2014). Furthermore, Asian Americans and Asians who immigrate to the United States might not have the necessary resources to receive the attention that they need to answer questions relating to physical health concerns if doctors are not playing an active role. Overall, I argue that more research in this field should be conducted in order to address the negative effects of positive stereotyping in this population. Several important implications can result from additional research in this field: namely, greater prevention efforts for rates of Asian American discrimination in school settings, better mental health treatments that incorporate values held by Eastern cultures (Hall, Hong, & Zane, 2011), greater awareness of the negative effects of seemingly positive stereotypes (physical and psychological), greater research about cancer screening disparities in Asian Americans, and incorporating greater amounts of Asian Americans in research studies or discovering how to reach out towards people in this community. In conclusion, as mentioned from previous research, Asians and Asian Americans are often positively stereotyped. While positive stereotyping can be helpful to Asians and Asian Americans in certain situations, these generalizations can also be harmful in other settings. Mental and physical health concerns such as depression rates and cancer-screening rates in the Asian or Asian American population should be explored more. These health disparities should be addressed in academic and social settings where the mental and physical health of Asians or Asian Americans are potentially at risk of being overlooked. This is particularly important because there are increasingly greater amounts of Asians or Asian Americans who live in the United States (Teranishi, Ceja, Antonio, Allen, & McDonough, 2004) and thus should be able to receive education and healthcare at optimal conditions. Science and Technology Letters, 59, 7-13. Lee, S. J. (1994). Behind the model-minority stereotype: Voices of high- and low-achieving Asian American students. Anthropology & Education Quarterly, 25, 413-429. Lorenz, M. K., Frost, A. K., & Reinberz, H. Z. (2000). Social and emotional functioning of older Asian American adolescents. Child and Adolescent Social Work Journal, 17, 289-304. Sayama, M., & Sayama, H. (2011). Positive stereotyping and multicultural awareness: An online experiment. Current Research in Social Research, 16, 1-13. Shih, M., Pittinsky, T. L., & Ambady, N. (1999). Stereotype susceptibility: Identity salience and shifts in quantitative performance. Psychological Science, 10, 80-83. Shin, J. Y., D’ Antonio, E., Son, H., Kim, S., & Park, Y. (2011). Bullying and discrimination experiences among KoreanAmerican adolescents. Journal of Adolescence, 34, 873883. Smigal, C., Jemal, A., Ward, E. Cokkinides, V., Smith, R., Howe, H. L., & Thun, M. (2006). Trends in breast cancer by race and ethnicity: Update 2006. A Cancer Journal for Clinicians, 56, 168-183. Steen, L. A. (1987). Mathematics education: A predictor of scientific competitiveness. Science, 237, 251-253. Su, J. C., Lee, R. M., Park, I. J. K., Soto, J. A., Chang, J., Zamboanga, B. L., ... Brown, E. (2014). Differential links between expressive suppression and well-being among Chinese and Mexican American college students. Asian American Journal of Psychology, 1-10. Teranishi, R. T., Ceja, M., Antonio, A. L., & Allen, W. R. (2004). The college-choice process for Asian Pacific Americans: Ethnicity and socioeconomic class in context. The Review of Higher Education, 27, 527-551. Tran, A. G. T. T., & Lee, R. M. (2014). Your speak English well! Asian Americans’ reactions to an exceptionalizing stereotype. Journal of Counseling Psychology, 61, 484490. Tummala-Narra, P., & Claudius, M. (2013). Perceived discrimination and depressive symptoms among immigrantorigin adolescents. Cultural Diversity and Ethnic Minority Psychology, 19, 257-269. Williams, D. R., & Mohammed, S. A. (2009). Discrimination and racial disparities in health: Evidence and needed research. Journal of Behavioral Medicine, 32, 20-47. Wu, F. H. (2002). Yellow: Race in America beyond Black and White. New York, NY: Basic Books. Yoo, H. C., & Castro, K. S. (2011). Does nativity status matter in the relationship between perceived racism and academic performance of Asian American college students? Journal of College Student Development, 52, 234-245. Yoo, H. C., & Lee, R. M. (2009). Does ethnic identity buffer or exacerbate the effects of frequent racial discrimination on situational well-being of Asian Americans? Asian American Journal of Psychology, 5, 70-87. Yeh, T. L. (2002). Asian American college students who are educationally at risk. New Directions for Student Services, 97, 61-71. Parent Training for the Treatment of Selective Mutism Jasmine Lewis Selective mutism is an anxiety disorder characterized by the inability to speak to certain people in certain situations, despite being completely capable of speech in other situations (Bergman & Hunt, 2008). Often, selective mutism is discovered in children when they start school, where demands for speech are more prevalent than in the home (Bergman & Hunt, 2008). It is common for children to feel comfortable speaking with family but then fail to speak to teachers and classmates or more unfamiliar individuals, such as distant relatives and strangers (Bergman & Hunt, 2008). Selective mutism is maintained by a cycle of reinforcement (Gallagher & Knickerbocker, n.d.). When a child is engaged in conversation with a person they are not comfortable speaking with, they start to feel anxious (Gallagher & Knickerbocker, n.d.). When the child avoids speaking, their anxiety lowers. This reinforces not speaking as an effective way to lower one’s anxiety (Gallagher & Knickerbocker, n.d.). Parents play an interesting role in this cycle. While observing their child become anxious when asked a question, parents often step in and answer for the child, relieving them of their anxiety (Gallagher & Knickerbocker, n.d.). Again, the avoidance is reinforced and children come to learn that their participation in conversation is not expected. While parents are usually kept informed about their child’s progress in therapy and school, more research needs to be done on how parents can be trained to help treat their children with selective mutism. Not only do parents spend the most time with their children out of school, but they also serve as role models for speaking behaviors, control with whom the child interacts, and can intervene in their child’s conversations in a way that reinforces avoiding speech (Muris & Ollendick, 2015). Additionally, parent-led interventions can make continued progress even after therapeutic intervention with a clinician is over (Thirwall, 2013). However much of the research on parent training for the treatment of anxiety disorders has led to conflicting results on effectiveness. When comparing these studies I’ve found that the methods of implementing these training components vary so significantly that they provide little conclusive evidence of what works and what does not. Considering the unique role that parents play in the maintenance of selective mutism, developing and testing a standardized parent-focused training program is crucial for the selectively mute population. of nine children with selective mutism and administered the graduated exposure therapy (Treatment A) and the contingency management plan (Treatment B). Researchers divided the sample into two randomized groups and each group received both treatments in a different order. While both Treatment A and Treatment B yielded results in terms of more words spoken by the participants, researchers found the exposure-based practice to be more effective than the contingency management plan with a significant increase in number of words spoken after Treatment A compared to after Treatment B. This would suggest that parent-focused efforts are less effective than the clinician led childbased efforts, but more studies need to be done comparing these two factors more directly. It is possible that exposure-based practice is simply the more effective treatment, regardless of whether a clinician or a trained parent administers it. It is also worth noting that the contingency management plans that Vecchio and Kearney (2009) had parents put into place involved having the child punished (by losing privileges or making child stick to an early bedtime) if the child failed to speak in public settings when prompted by the parent. The practice of punishing selectively mute children for failing to speak has been widely criticized and it’s use may have possibly contributed to the contingency management plan yielding far fewer results than the exposure-based practice (Kotrba, 2014). Sharkey, McNicholas, Barry, Begley, and Ahern (2008) conducted a study on group therapy for five selectively mute children and their parents. The children’s group focused on psychoeducation about their anxious feelings, learning and using relaxation exercises, and exposures to anxiety provoking situations. The parents group focused on education on selective mutism, how to handle it in daily life, how to support their child’s speaking behaviors, and how to help them navigate school (Sharkey et al., 2008). Parents who were anxious also received tips on how to lessen their own anxiety. Each of the children improved: two came to speak freely to classmates and the other children in the study and could speak to adults using monosyllabic words, one participant had seen significant improvements in ability to communicate nonverbally in the clinic and could speak to peers in school and in her community, and the last two participants no longer met the diagnostic criteria for selective mutism. This paper suggests that parent training in the form of psychoeducation and instruction on facilitating exposures and reinforcing speech can be effective in treating selective mutism. However, these effects need to be isolated from those of child therapy and tested with individual parents as opposed to parent groups. CONCLUSION This review of the literature has highlighted the following parent-training practices as helpful in the treatment of childhood anxiety disorders: 1) training parents to modify their own accommodating and anxious behaviors, 2) psychoeducation on anxiety, 3) instructing parents on guiding their children through exposure, 4) contingency management for success during exposures, and 5) teaching parents how to administer CBT. Each of these strategies can in theory be adapted to selective mutism from other anxiety cases. Parents can be instructed on creating practice exposures for their child, waiting for their child to give a response, rewarding verbal communication, encouraging conversation from their child when appropriate, and addressing their child’s cognitions about what would happen if they spoke in front of people. In my experience working with selectively mute children and their parents, clinicians already impart some of this knowledge on parents but it is done much less systematically than parent-focused efforts for other disorders. Seeing how parents are already an invaluable resource for selective mutism treatment, it’s about time we develop a standardized way of training them to work alongside clinicians in helping their children achieve their goals. REFERENCES Barmish, A. J., & Kendall, P. C. (2005). Should parents be coclients in cognitive-behavioral therapy for anxious youth? Journal of Clinical Child and Adolescent Psychology, 34, 569–581. Bergman, L., Hunt, L. (2008). Selective mutism. Paradigm, 12–22. http://doi.org/10.1177/1359104511415174 Bodden, D. H. M., Bögels, S. M., Nauta, M. H., De Haan, E., Ringrose, J., Appelboom, C., … & Appelboom-Geerts, K. C. M. M. J. (2008). Child versus family cognitive-behavioral therapy in clinically anxious youth: an efficacy and partial effectiveness study. Journal of the American Academy of Child and Adolescent Psychiatry, 47, 1384–1394. Breinholst, S., Esbjørn, B. H., Reinholdt-Dunne, M. L., & Stallard, P. (2012). CBT for the treatment of child anxiety disorders: A review of why parental involvement has not enhanced outcomes. Journal of Anxiety Disorders, 26, 416–424. Gallagher, R., Knickerbocker, L. (n.d.) Selective mutism presentation for school outreach [Powerpoint slides]. Kotrba, A., Whittelsey, M., & Rubenezer, A. (2014). Selective mutism: An assessment and intervention guide for therapists, educators & parents. Eau Claire, WI: PESI Publishing & Media. Muris, P., & Ollendick, T. H. (2015). Children who are anxious in silence: a review on selective mutism, the new anxiety disorder in DSM-5. Clinical Child and Family Psychology Review, 18(2), 151–169. Oerbeck, B., Stein, M. B., Pripp, A. H., & Kristensen, H. (2015). Selective mutism: follow-up study 1 year after end of treatment. European Child & Adolescent Psychiatry, 24, 757–766.